Tuesday, we undertook the traditional pilgrimage (for us at least, as they’ve been with us at Summerhill since the gates opened 30 years ago) to Gaynor Rupert’s Drakenstein Stud, which shares one of the most spectacular pieces of real estate with the L’Ormarinswine estate. So that you can understand the place, husband Johann has the wine side as his “baby”, while Gaynor jumps out of bed in the mornings for the horses. 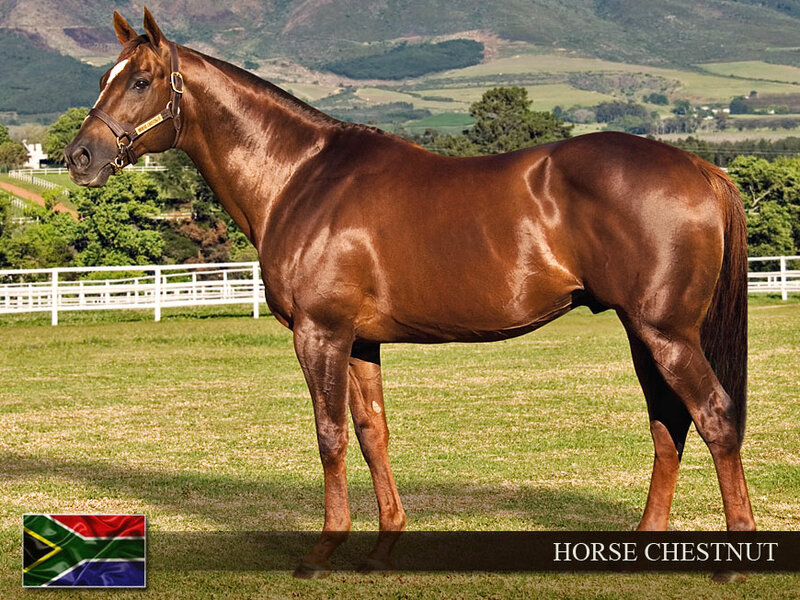 We’ve said enough in these columns about their fine stallion Trippi, so while seeing him was confirmation of the wisdom of participating in his shareholding, it was Horse Chestnut that we needed to renew our vows with. We last saw him in the flesh, burying a high class field in the J&B Met on his way to international fame and glory, and we remember the day he demolished the best of our Three-Year-Olds in the Derby at Turffontein. His victims that day included second placed Summerhill-bred Dangerous Donald, whose heart was irretrievably broken after a ding dong 300m tussle up the murderous Turffontein straight. So this for us, was a moment for the ages. Stud Manager, Ross Fuller swears he only stands 16.1 hh, but to our minds he has at least another inch on him. He’s in great shape, and you only have to see him walk to recognise the fluidity of his movement in his heyday. A grass horse in a “dirty” country, Horse Chestnut might well have been better off at stud anywhere else but in the United States, yet his record out there (and abroad) was not without distinction. Let’s hope, for the sake of our local breds, that he can get up and salute as Jet Master, Captain Aland National Emblem have done in recent times, and deliver the goods as he delivered at the races. Oh, and by the way, let’s not forget the lunch. Gaynor, as gracious as ever, is a wonderful host and we were lucky this time to be joined by a long-serving member of the Rembrandt board, Jennifer Preller, who happens to have graced the portals of Stellenbosch University in an era concurrent with my own. Little doubt, if Drakenstein Stud were to get into the restaurant business, we’d have a devil of a time at Hartford taking home the accolades that’ve befallen us in the past few months. And a very private tip: the L’Ormarins Sauvignon Blanc, 2007. Like the rest of the place, in its own class. Thanks Gaynor and Ross, as always, for a class act.